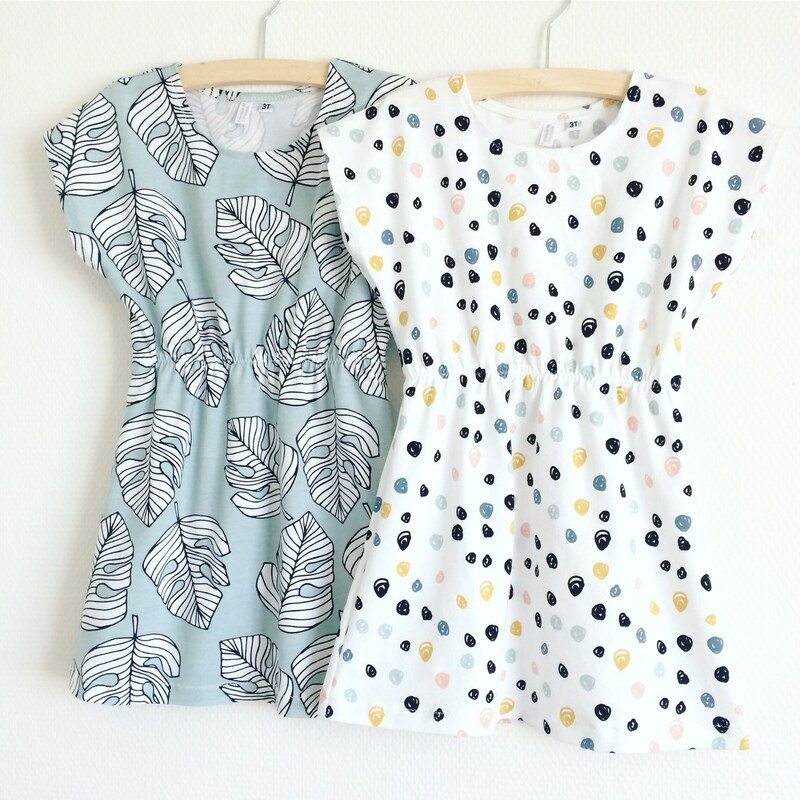 This sleeveless dress is ideal for summer days! 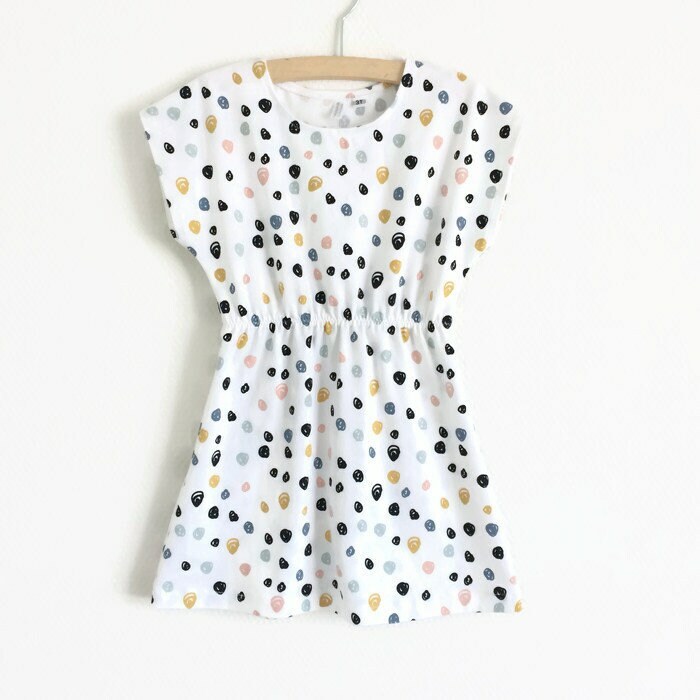 This dress is comfortable and stylish, made of organic cotton fabric with colourful dots. The elastic in the waist gives the dress a good fit.